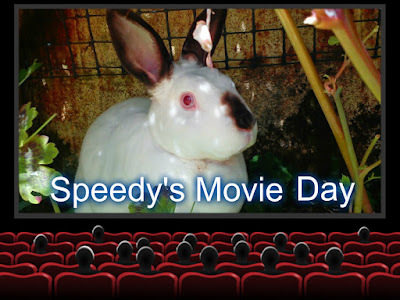 Hello and welcome to A Day in the Life of Speedy for my movie day extravaganza!All the Movies were filme using the Panasonic Smart Home Monitoring System that we did a review on a few months ago.Well we still love it and still find it easy to use but to read the review click HERE or go on my review page via the page button under my Blog Banner. Well there you have it a day in the life of me.....that is when I stay at home!Hope you enjoyed my feature length Movie Extravaganza! Your GARDEN and KITCHEN are so very much nice. Oh Speedy! Darling! Mes LOVES seeing your day! Its (almost) as good as being there with yous! How fun seeing you as you go about your day, Speedy! That Speedy Cam is fun for us too Speedy!!! You now need to go to the hidey places or else you are on camera all the time!!! SIR SPEEDY! Lord Speedy, King Speedy, whatever your moniker, YOU ARE CUTE in your little chewed up castle! teeeheee....I love how you plop yourself down on the floor. You are one happy bunny, and mum takes such good care of you. 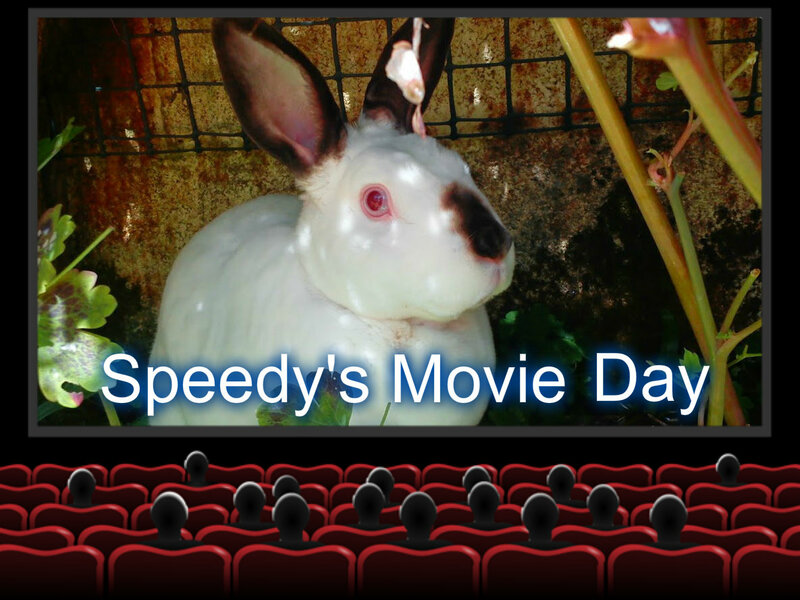 LOVE YOU, SPEEDY! ZZZZZZZzzzzzzzz, Speedy is DOWN in dreamland....oh dearest Mum, what is that fun music playing that put Speedy in a sleep trance? I LOVE IT!